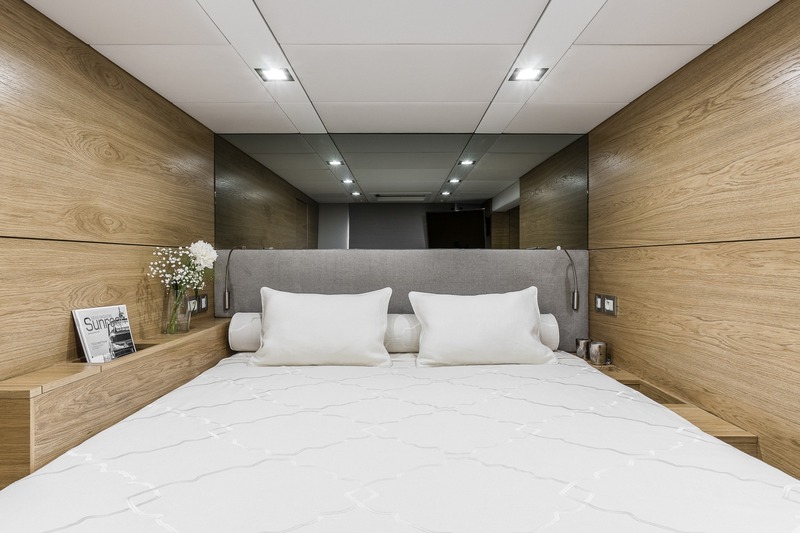 Built by Sunreef Yachts in 2017, 23m/74ft luxury yacht CALMAO is a sloop-rigged catamaran ideal for entertaining with family and friends. 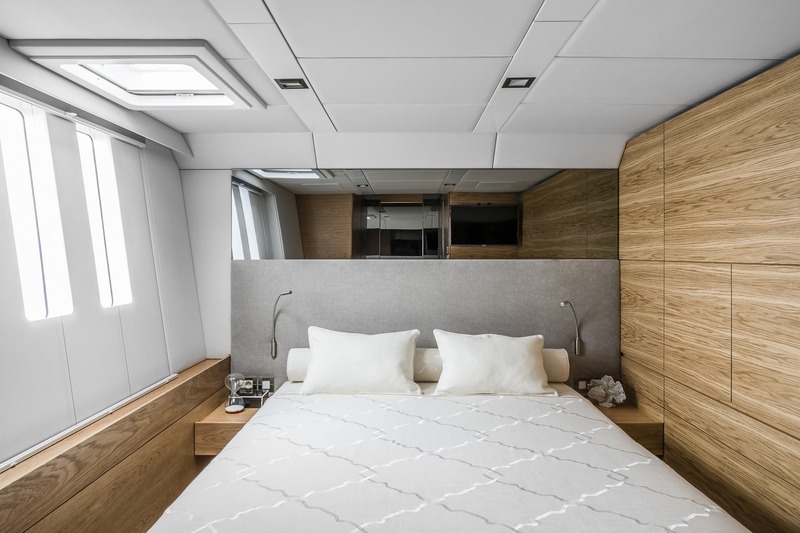 Her interiors and exteriors were completed by the shipyard, who chose a pale contemporary colour scheme to emphasise her on board space. 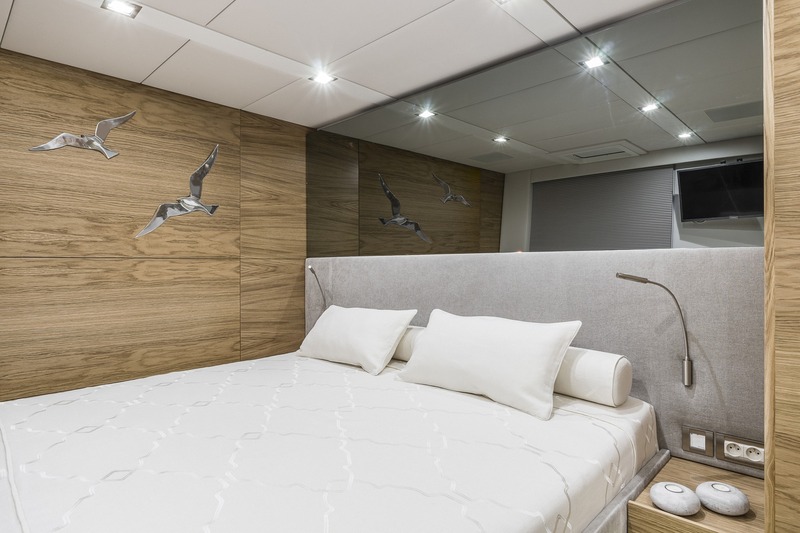 The accommodation sleeps up to 9 guests across 5 cabins and there is a wide beam of 10.5m/33ft to ensure roomy private quarters. 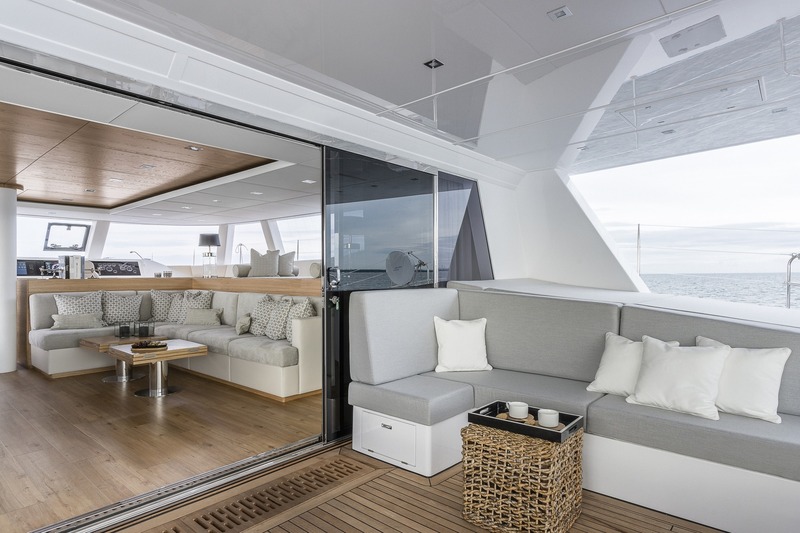 The main deck aft cockpit provides a shaded outdoor living spot where guests can relax at the L-shaped informal lounge, lie on the cockpit sunpads located on the port and starboard sides, or dine alfresco in the sunlight on the aft seating. 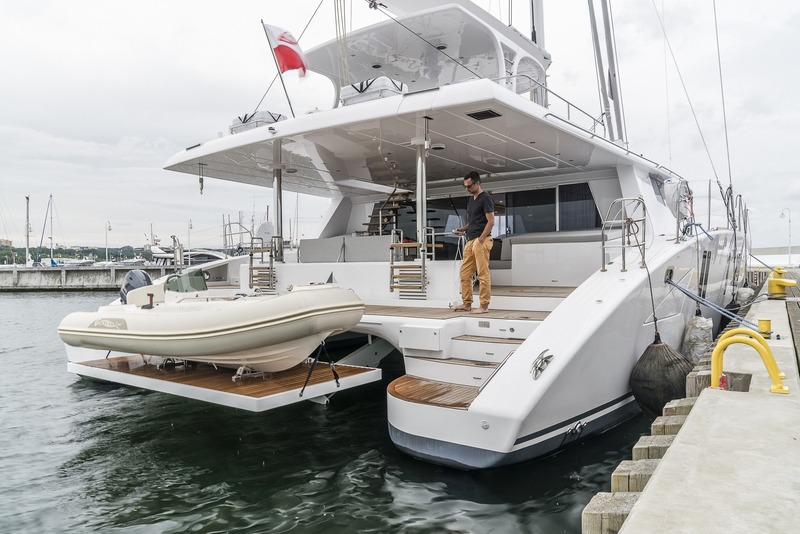 Steps lead down to the water and there is a hydraulic lift for ease of access in and out of the sea, both for guests and for the tender. 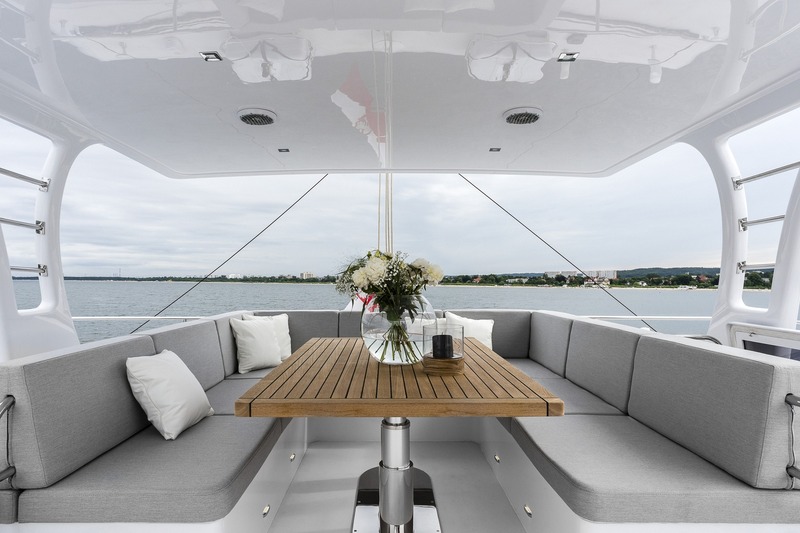 On the foredeck there is a small terrace ideal for candlelit dinners between two, or as a place to read and relax out in the sunshine. 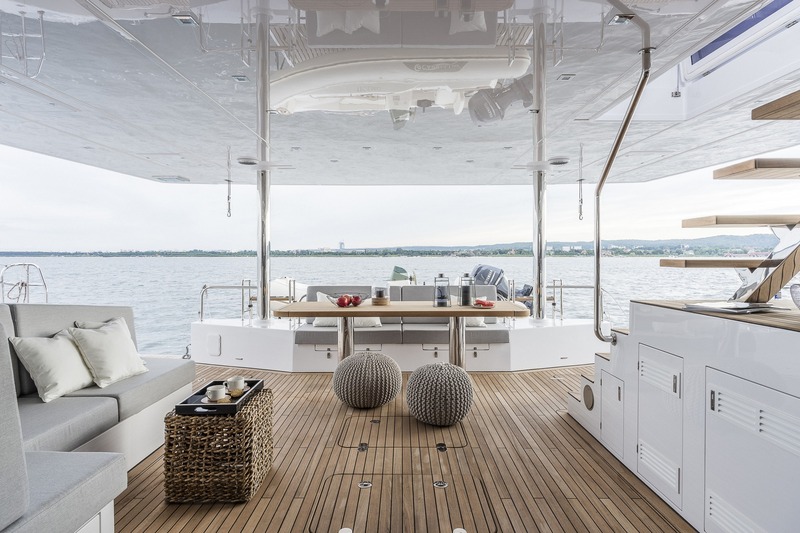 On the bow, there are two trampolines that make excellent spots for sunbathers to listen to the ambient sounds of the water underneath, while taking in the scenery. 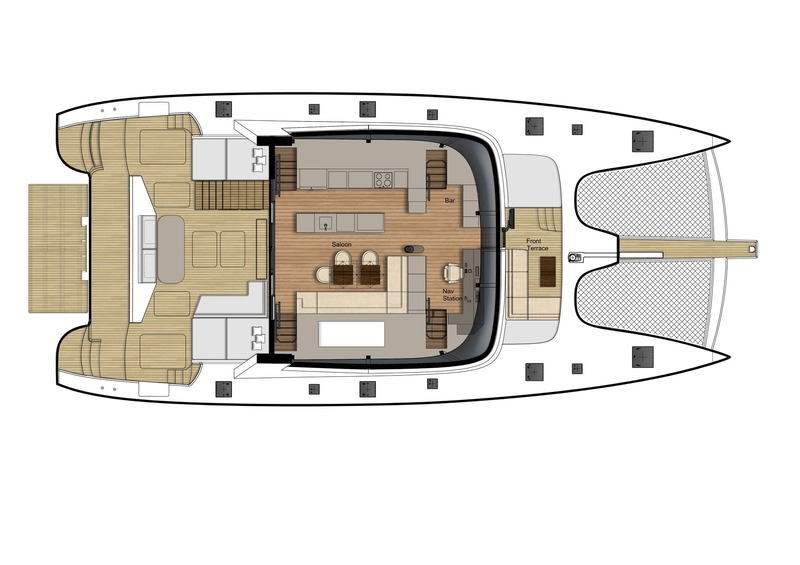 The flybridge is accessed via the main deck cockpit via a staircase. 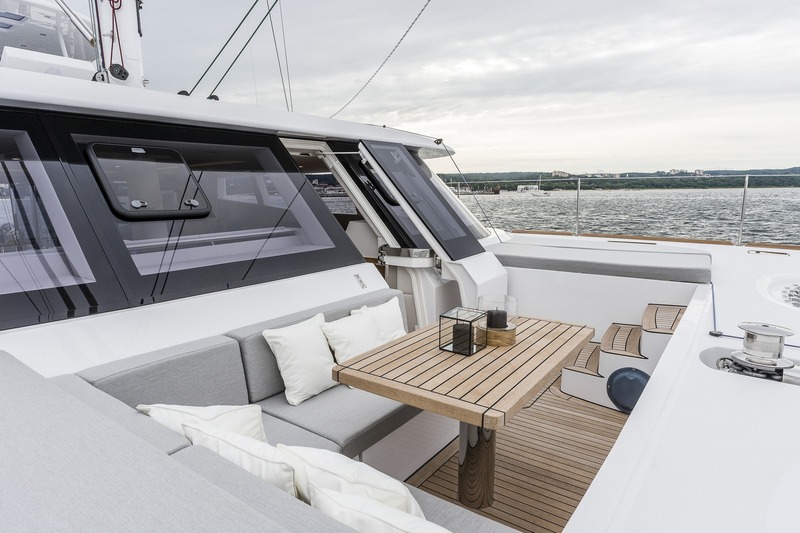 As well as offering elevated views of the surroundings, there is a forward helm station a row of sunpads on the starboard aft and a C-shaped seating area along the stern, shaded by a hardtop cover and complete with table for alfresco dining. 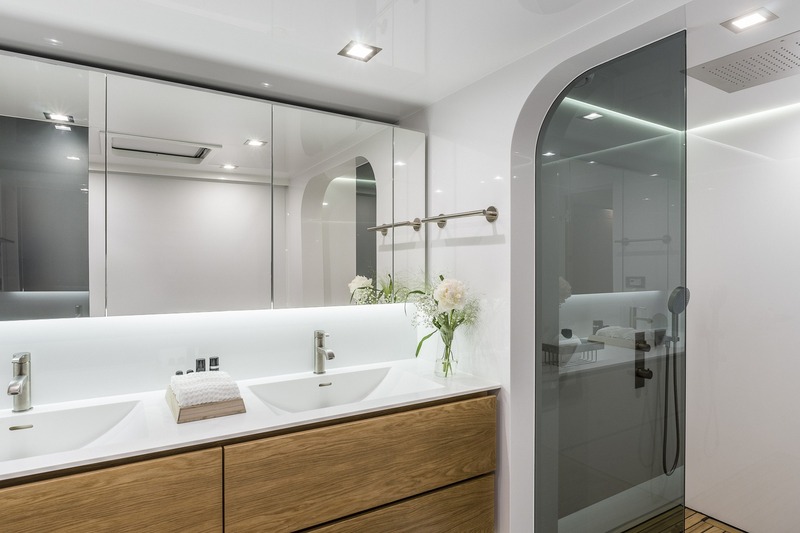 The interior salon is filled with light from the large forward window that wraps around the port and starboard sides. 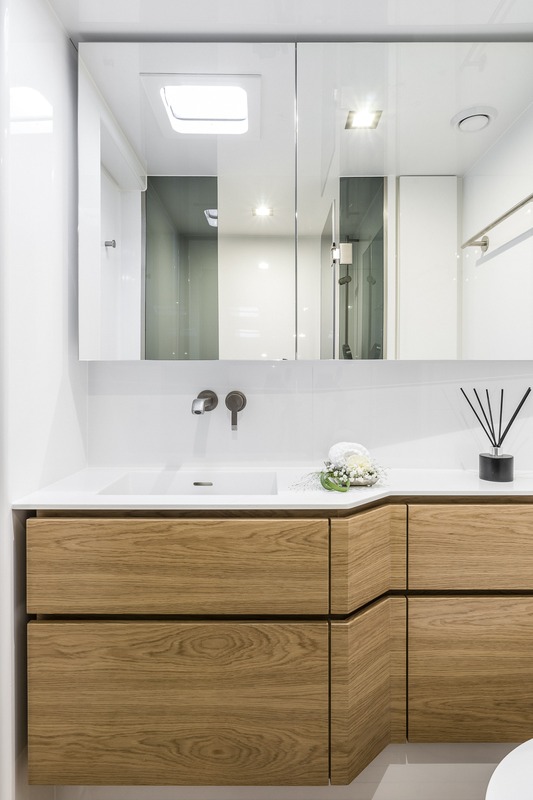 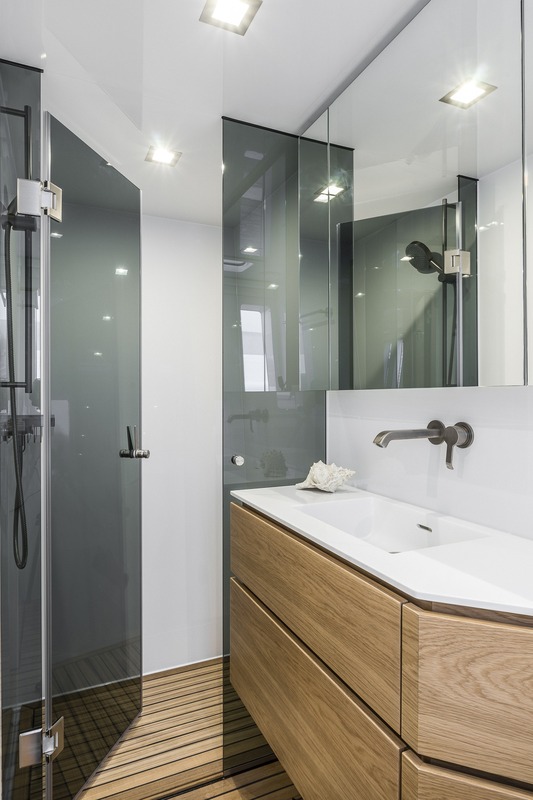 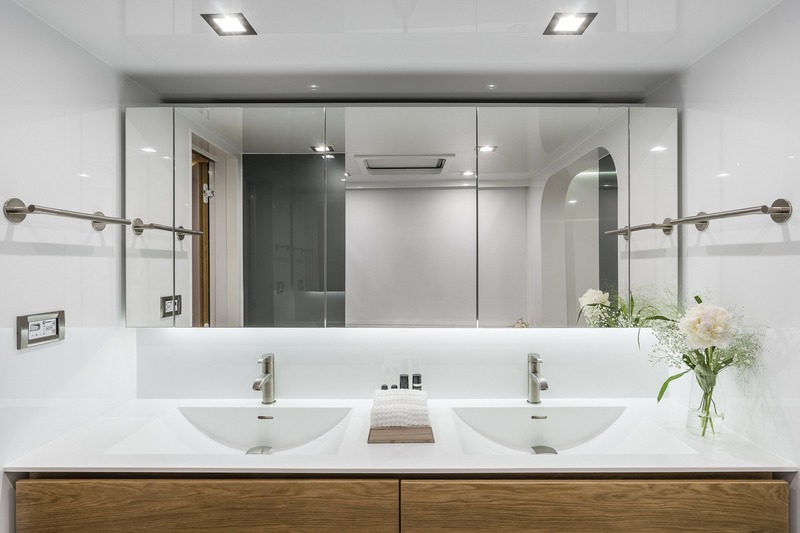 Pristine white furnishings pair with pale wooden paneling and accents for beautiful minimalist recreational areas. 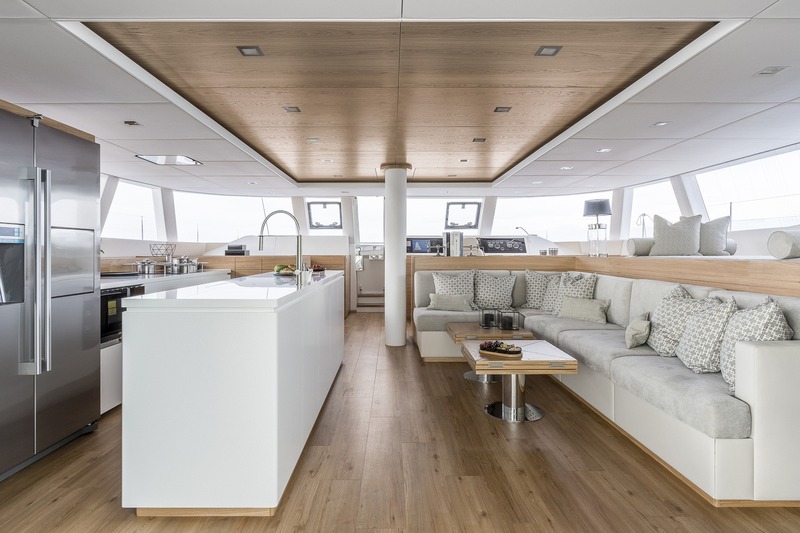 From the salon, guests have direct access to a private foredeck cockpit, complete with seating and a table. 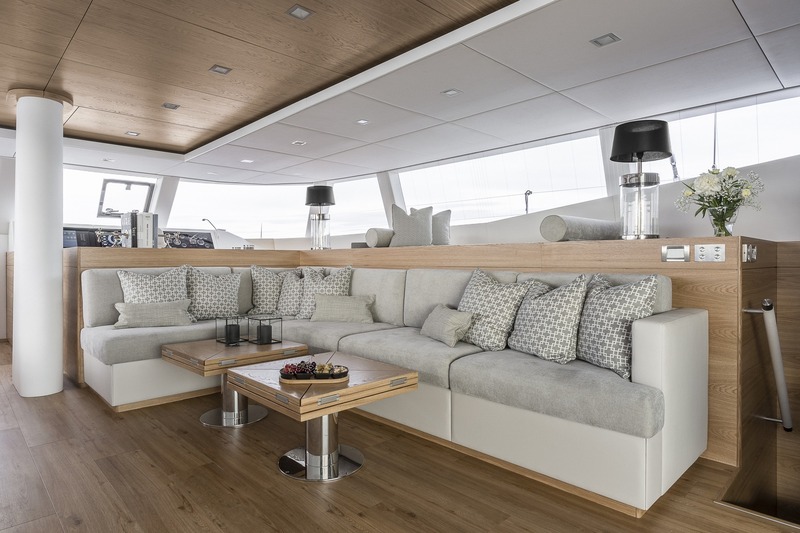 Behind the forward helm station is a plush L-shaped sofa with room for the whole family. 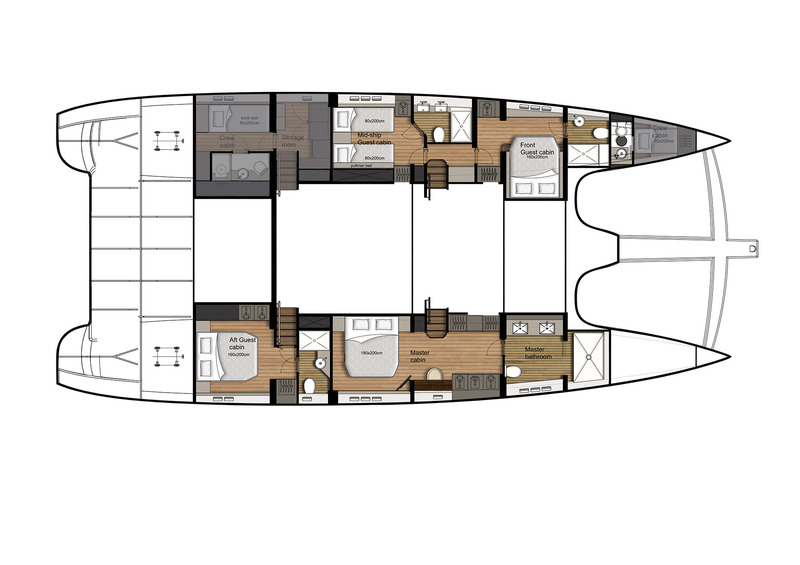 Two coffee tables fold out to become a large dining area as required, which is serviced by the galley located opposite. 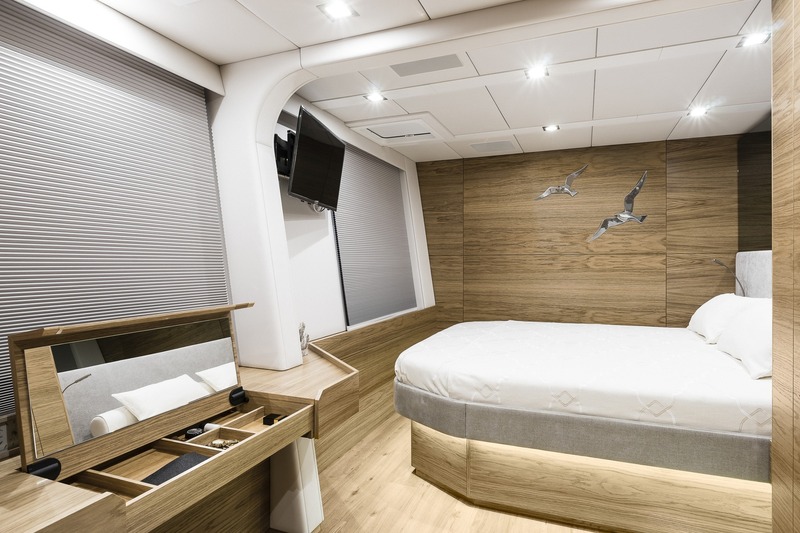 The lower deck contains the guest accommodation and consists of bright large cabins, each with en-suite facilities. 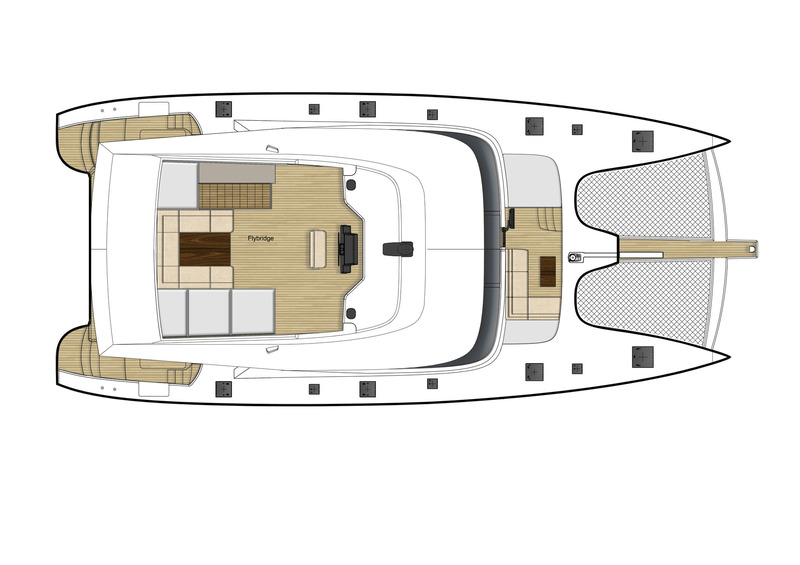 2 x John Deere 240 HP engines power superyacht CALMAO for a top speed of 13 knots and a cruising speed of 8 knots. 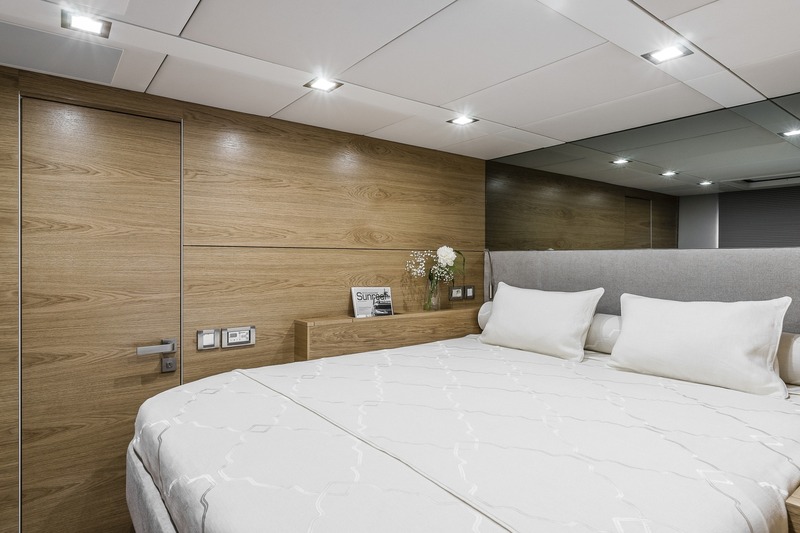 The accommodation is designed for a maximum of 9 guests across 4 cabins: 1 Master suite, 2 double cabins and 1 twin cabin with a Pullman berth. 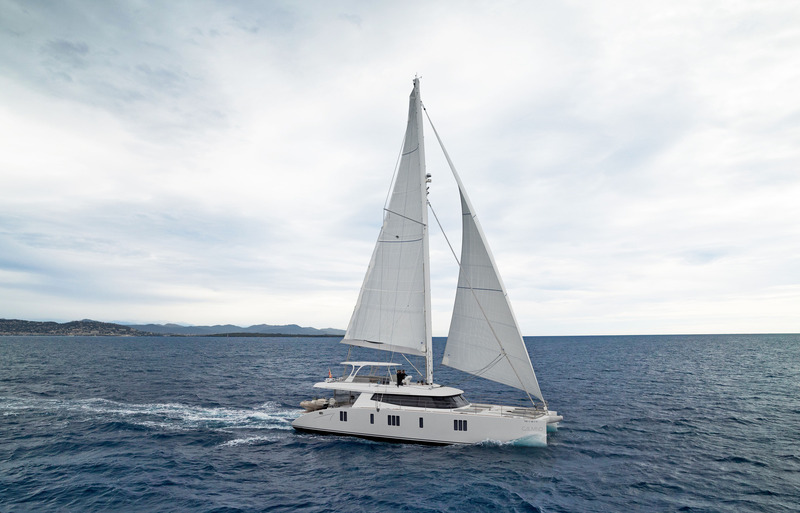 A crew of 3 will ensure that all guests have a safe and memorable journey.